This week on The Insight (Apple Podcasts, Stitcher and Google Podcasts)we discussed the controversy that has erupted over a 12,000-word piece in The New York Times Magazine, Is Ancient DNA Research Revealing New Truths — or Falling Into Old Traps? Many researchers associated with this work, including the primary focus of the article, David Reich, have taken issue with the reporting. We talk to Bastien Llamas, a researcher in Australia who has worked with Reich and is involved in the field of ancient DNA himself and been vocal on Twitter about the piece. 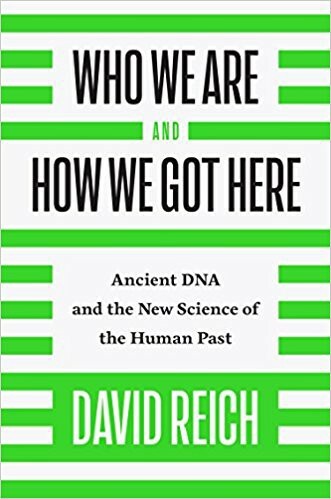 Much of the discussion is hard to understand without reading the piece in The New York Times Magazine, but also David Reich’s new book, Who We Are And How We Got Here, also helps. As Bastien makes clear, the field of ancient DNA has gone from basically nothing to thousands and thousands of samples in less than a generation. But, we talk about the fact that a single whole-genome sequence has enough information to infer the history of a whole population. In the piece, there is a reference to the fact that some labs seem to have technological monopolies which exclude other research groups. Bastien outlines exactly and in detail the “other side” from the perspective of Svante Paabo. We also discuss the debate around the peer-review of a paper on the genomics and history of Vanuatu, and how the “full story” is more complex, nuanced, and different, from what you might take away from simply reading the piece. There was extensive discussion about the different technologies utilized in the field of ancient DNA, in particular, “shotgun whole-genome sequencing” vs. “SNP-capture array.” The technological debate is embedded in the reality that the field to a great extent is an oligopoly, with a few big labs and consortiums dictating the direction of the research questions and methodologies. We talk about this reality, as well as the nature of science now and the possibilities of the future. The New York Times Magazine also takes for granted the idea that David Reich and colleagues are resurrecting old racist theories about the migrations and replacements of peoples, which archaeologists rejected after World War II due to their ideological valence. But an anthropologist points out that this is not actually what happened, and that the change from “cultural-history” to “processualism” had as much to do with the data available and scientific fashion as it did with broader cultural currents. Finally, we discussed working in Australia and future directions in ancient DNA. If you want to get a more academic understanding of the field, please see this opinion in PNAS, To curate the molecular past, museums need a carefully considered set of best practices. David Reich’s lab website has two updates relating to the article. The Insight Show Notes — Season 2, Episode 12: The New York Times takes on Ancient DNA was originally published in Insitome on Medium, where people are continuing the conversation by highlighting and responding to this story. This week on The Insight (Apple Podcasts, Stitcher and Google Podcasts)we discussed the field of cultural evolution with Richard McElreath of Max Planck Institute for Evolutionary Anthropology. The past, present, and future possibilities within this discipline. Genealogically the modern study of culture in an evolutionary context goes back to L. L. Cavalli-Sforza and M. W. Feldman’s Cultural Transmission and Evolution: A Quantitative Approach. This approach was extended by Peter Richerson and Robert, such as in their book Not By Genes Alone. 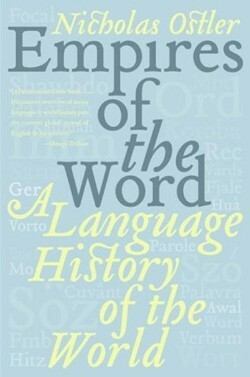 McElreath himself has written Mathematical Models of Social Evolution, illustrating the formal bent of this field. 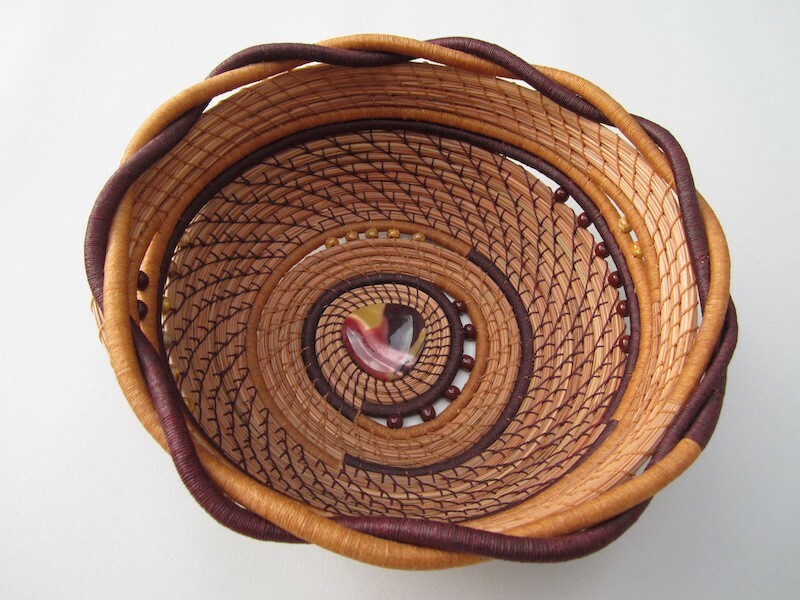 We discussed the difference between the methods within cultural evolution, which borrow heavily from population and quantitative genetics, and cultural anthropology. While cultural anthropology is descriptive and avoids generalities, cultural evolution leans heavily on mathematical modeling. 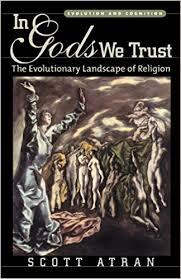 McElreath points out that today there is a society for his field, the Cultural Evolution Society. Differences between cultural evolution and evolutionary psychology were discussed. While the former is mathematical as well as depending on fieldwork, the latter is a branch of social psychology informed by evolution that is more verbal and experimental. The relevance of group selection to cultural evolution and its irrelevance to evolutionary genetics was also explored. Two papers that McElreath was involved with, Greater wealth inequality, less polygyny: rethinking the polygyny threshold model and Sustainability of minority culture when inter-ethnic interaction is profitable, were discussed. Finally, we also alluded to a non-obvious finding from cultural evolution: that social cognition explains cultural complexity we see around us, rather than individual intelligence. This is a central theme of Joe Henrich’s book The Secret of Our Success. The Insight Show Notes — Season 2, Episode 11: Cultural Evolution was originally published in Insitome on Medium, where people are continuing the conversation by highlighting and responding to this story. Ask any American what they think when you say the word “Hawaii,” and certain words will no doubt reoccur from person to person. That’s because certain images, feelings, come to mind. A gentle breeze, beaches, and volcanoes. The 50th state has been the byword for paradise on the mainland. A certain sense of Hawaii is part of American popular culture. But Hawaii is a real place with real people. It isn’t a dreamland. Rather, it is one of the most isolated large islands in the world. Over 2,500 miles from the nearest continent, there is only a single terrestrial mammal native to the islands: predictably, a bat! Obviously, the island is crawling with mammals today. Nearly 1,000 years ago voyagers from the lands of the western Pacific landed on the Society Islands, which includes famed Tahiti, and then sailed northward to the Hawaiian archipelago. When the ancient Polynesians settled Hawaii they did not arrive alone. They brought with them pigs, chickens, and dogs. Naturally, rats tagged along as unwanted passengers. But the settlement of Hawaii by humans was the end of a long journey which began thousands of years earlier in the mists of prehistory. Six thousand years ago a small group of stone-age seafarers, who we call Austronesians, journeyed south from Taiwan and settled the northern Phillippines. But they did not stop there. Over a period of thousands of years, these ancient mariners spread out over Southeast Asia, sometimes introducing intensive forms of rice agriculture and their distinctive language. But they did not stop there. For whatever reason, these were a people who wondered what was over the horizon, even if it was the deep blue ocean. They moved on west and east. Over 1,000 years ago their descendants reached the western Indian Ocean, mixing with the Bantu farmers of eastern Africa and occupying the island of Madagascar. 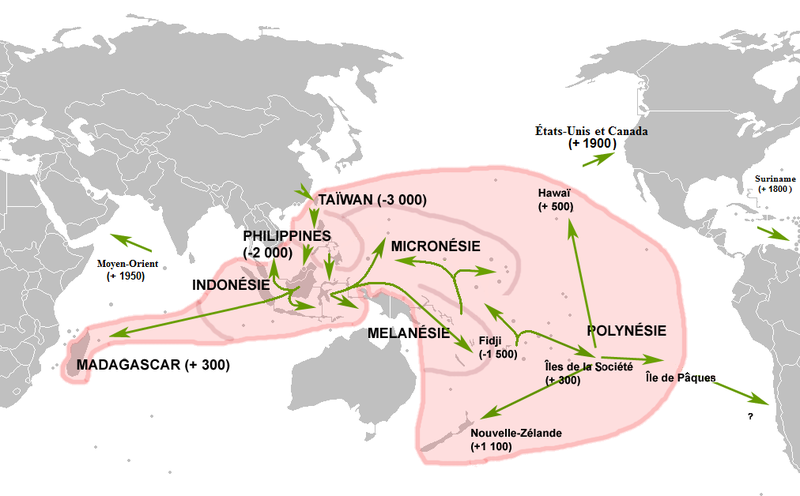 In the other direction, Austronesians moved into Oceania, abandoning rice and adopting taro from Melanesians. Less than 1,000 years ago the Pacific expansion finally crested, as Polynesians settled in New Zealand, off the coast of Australia, Easter Island, 2,300 miles west of South America. And of course, they ventured north to Hawaii, an isolated ecologically rich and unique jewel in the midst of the Pacific. In Southeast Asia, the Austronesians merged with native populations of farmers which migrated out of southern China earlier. But as they moved west and east they encountered very different populations, whether it be African farmers and pastoralists, on the one hand, or Melanesians in the case of the ancestors of the Polynesians. And just as the people of Madagascar, despite speaking a language closest to those spoken in Borneo, have a blended with nearby populations. 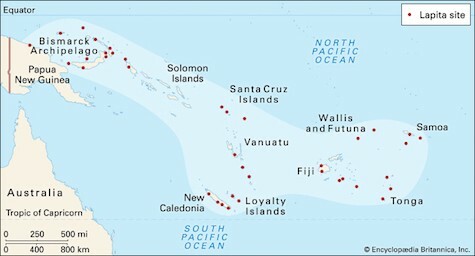 Polynesians carry signatures of interactions with the peoples of Near Oceania, which includes New Guinea, Australia, and Melanesian islands in the western Pacific, such as the Solomon Islands and New Caledonia. 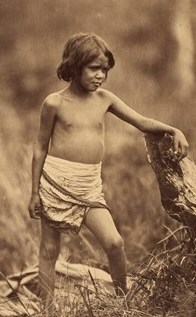 As genomics began to illuminate all the relationships between human populations, in 2012 a paper was published that surveyed the genomes of many native Hawaiians. The results were clear: the indigenous peoples of Hawaii had a dominant signature of ancestry shared with mainland Asian peoples, but also a minority component that had more affinities with the peoples of Near Oceania. This result was relevant to what traditionally had been termed the “express train vs. slow boat” models of the settlement of Polynesia. The “express train” hypothesis implies that the Austronesian Lapita culture rapidly pushed out of maritime Southeast Asia, with minimal interaction with local Papuans and other Melanesians. In contrast, the “slow boat” model meant that the expanding proto-Polynesians mixed with Papuans and Melanesians as they spread eastward more gradually, creating a fused culture which pushed onward into the far Pacific. The results above, along with maternal and Y chromosomal lineages seem to support the “slow boat” model. Not only are all Polynesians, including Hawaiians, descended from Southeast Asian farmers, but their ancestors also include the people who first pushed to the edge of the Pacific. These were the ancestors of Oceanians who settled New Guinea, Near Oceania, and Australia more 40,000 years ago with the first “Out of Africa” migration. Citation: Skoglund, P., Posth, C., Sirak, K., Spriggs, M., Valentin, F., Bedford, S., … & Fu, Q. (2016). 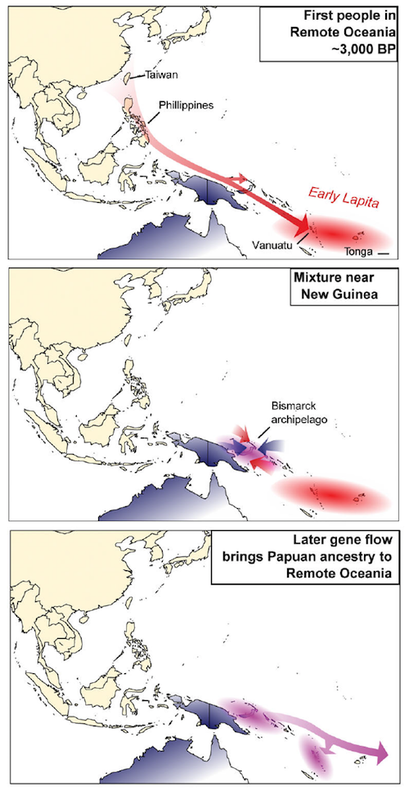 Genomic insights into the peopling of the Southwest Pacific. Nature, 538(7626), 510. So case closed? Not exactly. Science and history are often more complex than our elegant human imaginings. Over the past few years, the field of ancient DNA has come upon the scene to disturb hypotheses and provoke the development of new ones. Now researchers can see snapshots of the past with much crisper detail than would have been the case in the past. Two papers have helped reshape our understanding of the peopling of Polynesia. First, a 2016 paper showed that samples of ancient Lapita people don’t show any admixture from Melanesians. This is in accordance with the “express train” model, which the genetic heritage of modern Polynesians presumably refuted! An immediate solution to this conundrum is that the old models were too simple. That there wasn’t just a simple migration outward, but rather several, and that Melanesian ancestry arrived later. Within the last 2,000 years. A paper published in 2018 added more nuance and clarity to what may have been going on. Today the island of Vanuatu is considered to be Melanesian and is settled by people of predominant Oceanian heritage. But ancient DNA from 3,000 years ago yielded individuals of nearly total Asian heritage. But by about 2,000 years ago these people were replaced, by the ancestors of modern Melanesians, as later samples show overwhelming Oceanian heritage. Where does this leave us? Appropriately, a paper appeared with the title “Human Genetics: Busy Subway Networks in Remote Oceania?” was penned as a response to all this uncertainty and confusion. The title says it all, doesn’t it? These findings may actually be consonant with recent archaeological results that eastern Polynesia and New Zealand were subject to a massive demographic expansion and radiation beginning around ~1,000 years ago. 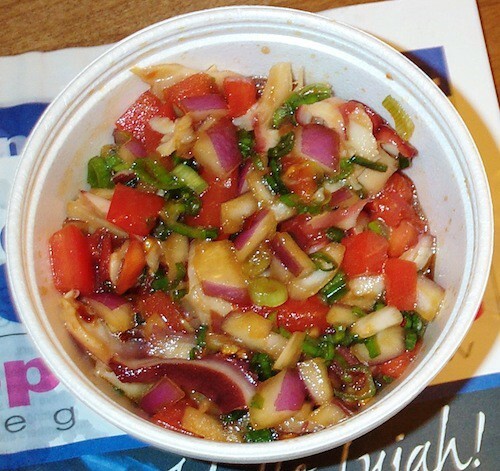 Today modern Hawaii is a melange of peoples, reflected in its cuisines, such as Poke, which has been inflected and modified by new ingredients brought by immigrants from the mainland and Asia. And yet perhaps this was always so, as paradise was never as serene and eternal as we may dream in our imaginings. Rather, Hawaii and the Hawaiians were products of daring voyages generation after generation, and the waxing and waning of peoples and cultures, bringing together diverse and disparate threads of the human expansion out of Africa. Hawaii: complicated a journey to paradise was originally published in Insitome on Medium, where people are continuing the conversation by highlighting and responding to this story. This week on The Insight (Apple Podcasts, Stitcher and Google Play) we discussed the life and legacy of L. L. Cavalli-Sforza, who died on August 31st, 2018. See the Stanford obit. From John Hawks, The man who tried to catalog humanity on Medium is probably the most thorough review of his life and works. We discussed the popularization of PCA and phylogenetic trees by Cavalli-Sforza and his colleagues, outlined in his magnum opus The History and Geography of Humans. The methods of analysis developed in the 20th century prepared us for the avalanche of data we confront into the 21st century. 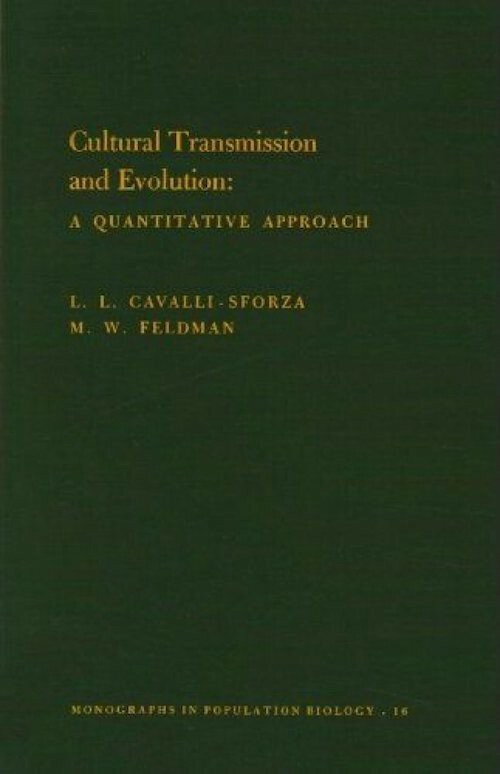 Also, Cavalli-Sforza’s collaboration with Marcus Feldman that laid the seed for the field of cultural evolution. 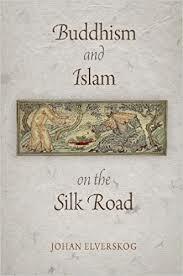 See the book Cultural Transmission and Evolution. 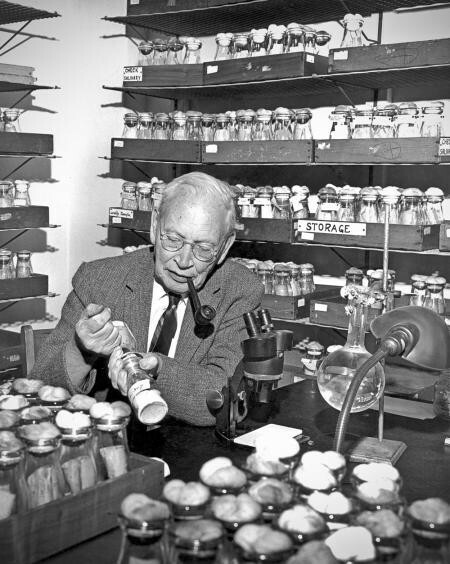 Today the field of cultural evolution is being pushed by researchers such as Joe Henrich. 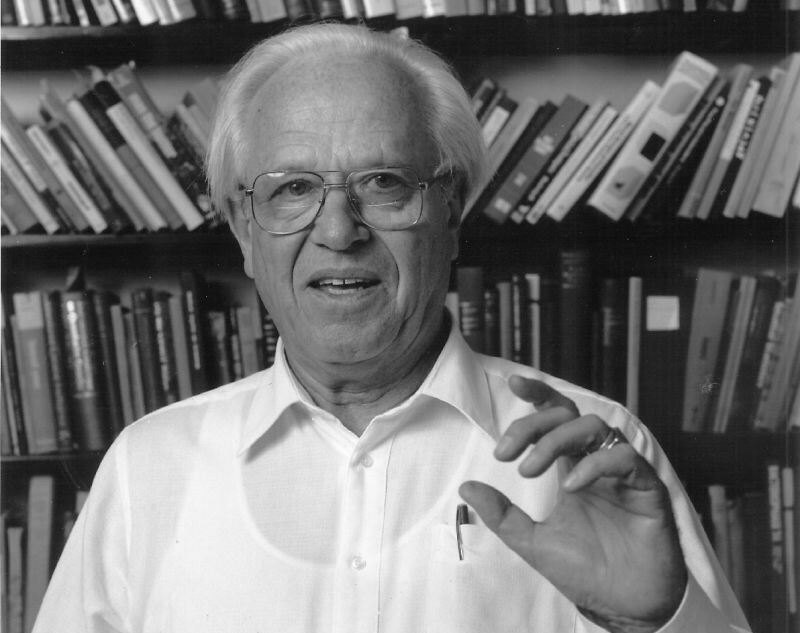 Cavalli-Sforza was also instrumental in synthesizing the application of formal demographic models to archaeology. See The Neolithic Transition and the Genetics of Populations in Europe. L. L. Cavalli-Sforza remained active into the 21st century. See this interview from 2012. After his retirement, several labs have carried on the project of exploring population genetic history. David Reich’s lab’s publications. Also, see Eske Willerslev’s work. Worldwide Human Relationships Inferred from Genome-Wide Patterns of Variation. 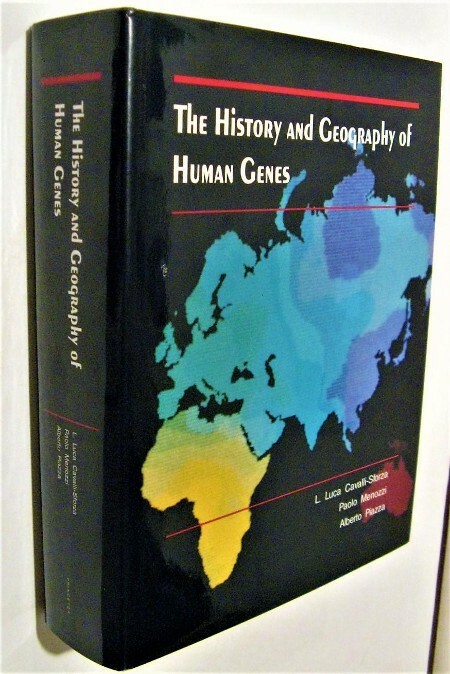 A 2008 study that uses the HGDP sample on a SNP-array, bringing The History and Geography of Humans into the 21st century! 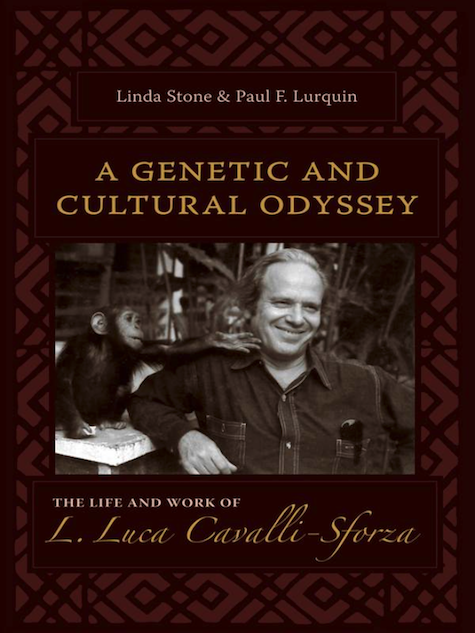 Finally, the cultural anthropologist wrote a full-length biography of L. L. Cavalli-Sforza’s life, with a focus on his scientific contributions, A Genetic and Cultural Odyssey. Season 2, Episode 1: The Legacy of L. L. Cavalli-Sforza was originally published in Insitome on Medium, where people are continuing the conversation by highlighting and responding to this story. 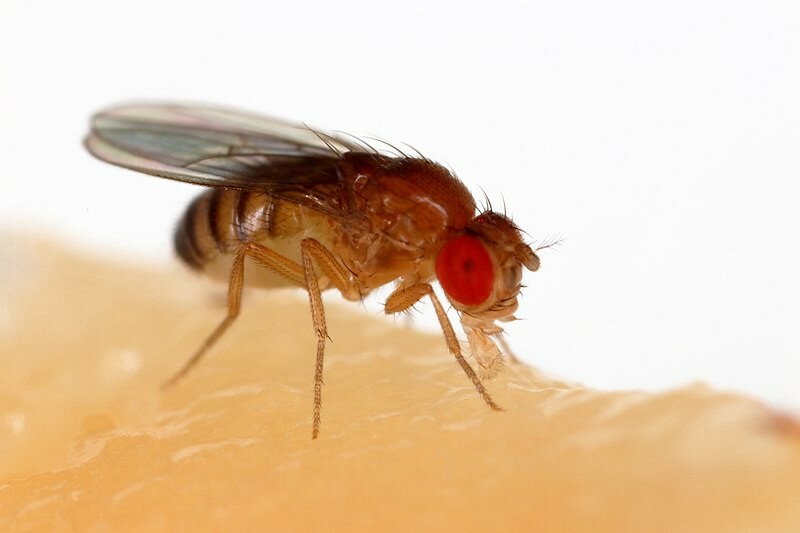 This week on The Insight (Apple Podcasts, Stitcher and Google Play) we talk to an “early career” geneticist, Austin Reynolds. A graduate of Indian University and University of Texas-Austin, he is currently a post-doctoral fellow at University of California-Davis. As a field, genetics is officially a bit over a century old. Though Gregor Mendel made his key discoveries fifty years before. Since the year 2000 genetics has undergone a revolution driven by sequencing technology and more powerful computing. Around 2010, a different revolution began, which Austin has been a part of, involving the synthesis of archaeology and genetics with the field of ancient DNA. The first ancient whole-genome analysis, Ancient human genome sequence of an extinct Palaeo-Eskimo. Also, the Neanderthal paper which revolutionized our understanding of our relation to this lineage. 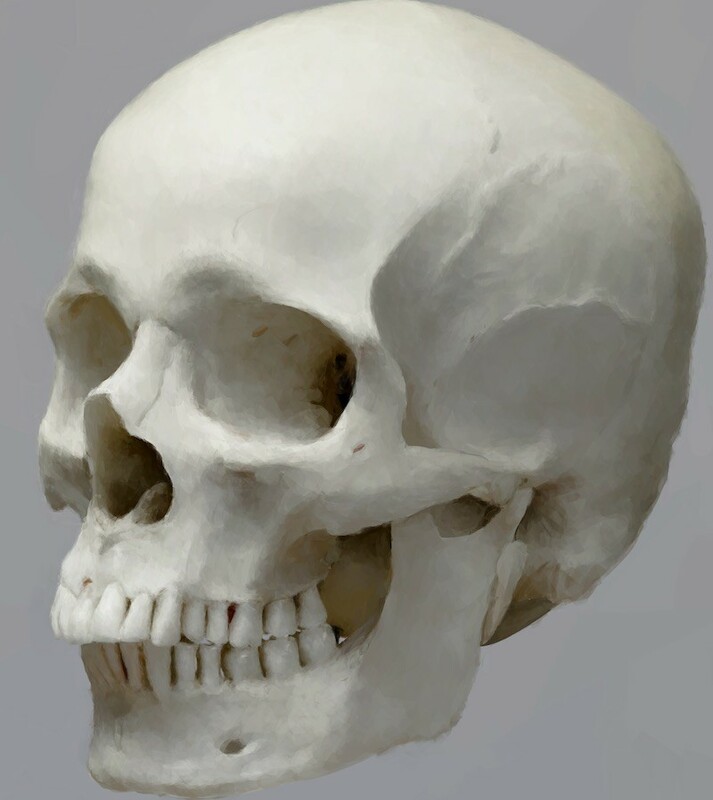 An excellent review of the state of the current research, Ancient Human Genomics: The First Decade. And a preview of the future, Tales of Human Migration, Admixture, and Selection in Africa. 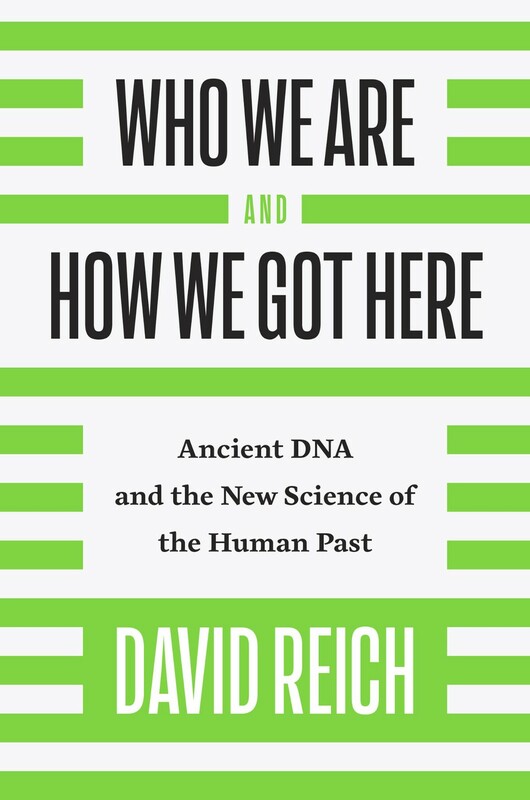 David Reich’s book Who We Are and How We Got Here is a good primer on ancient DNA and population genetics. Highly accessible to the lay audience without sacrificing any of the scientific content. Loci associated with skin pigmentation identified in African populations. On career issues, Track the fate of postdocs to help the next generation of scientists. 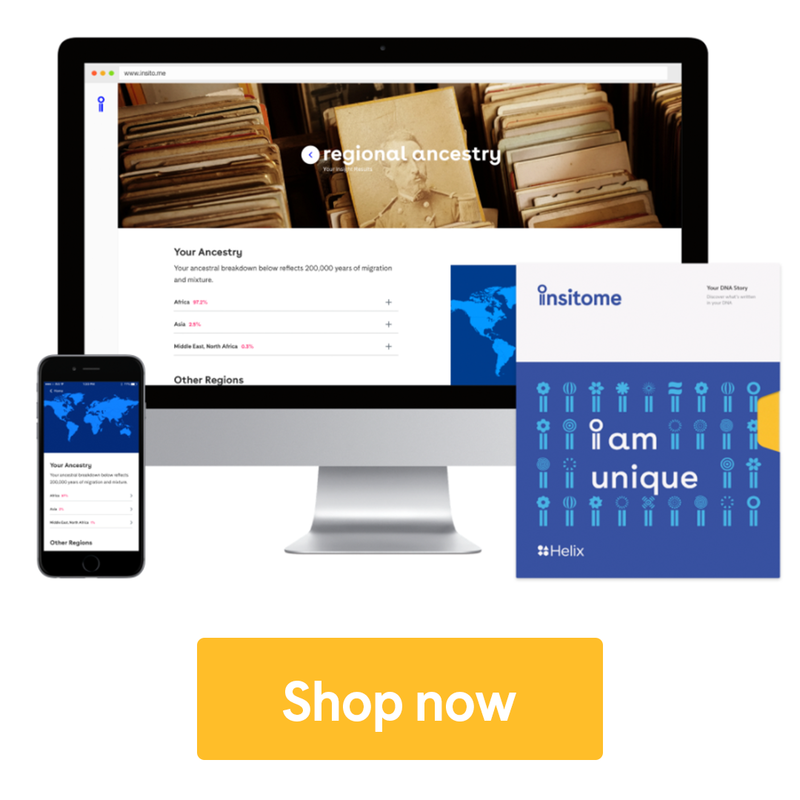 The Insight Show Notes: Episode 32, So you want to be a geneticist… was originally published in Insitome on Medium, where people are continuing the conversation by highlighting and responding to this story. If I have something to share, why not share it? Over the past few weeks I’ve been ruminating on some of the possible intersections between historical population genetics and anthropology, especially in light of the discussion that I’ve had in the past with Robin Hanson about ‘farmers vs. foragers’. Entering into the record that such a dichotomy is too stark, and only marginally useful (i.e., I think it is important to separate farmers and foragers in to their own sub-classes, as some farmer types may share more with some forager types, and so forth), it may be that after the first wave of the Neolithic expansion the descendants of the foragers “bounced back” in many regions of the world. It does seem that ancient European hunter-gatherers have left modern descendants. They were not totally swamped out. Using autosomal patterns some genome bloggers have inferred the same pattern, and perhaps even a counter-reaction by “Mesolithic” populations which adopted some aspects of the “Neolithic” cultural toolkit. Below the fold is a stylized tree representation of what I have in mind. But the other big feature is that the lake-filling events that occurred after 50,000 years ago were much smaller than those which occurred before. Climactically, the conditions 10,000 years ago should have been the same as the conditions 115,000 years ago. But the lake was only a fraction of the size. The authors find no natural causes which can explain this. So they suggest that the aridity starting around 50,000 years ago is related to the reduction in forest and increase in grasslands which occurred at this time. This vegetation change was a result of a huge increase in the frequency of fire in central Australia, which allowed fire-adapted plants to prosper at the expense of moisture-retaining forest. The increase in fire at this time is generally associated with the arrival of the first people on the Australian continent. It is known that of Australia’s megafauna went extinct at this time, but Magee et al. (2004) show that even the tropical rains were effected by human migration, with drastic changes to the continent’s largest river basin. In some ways the result is not too surprising. 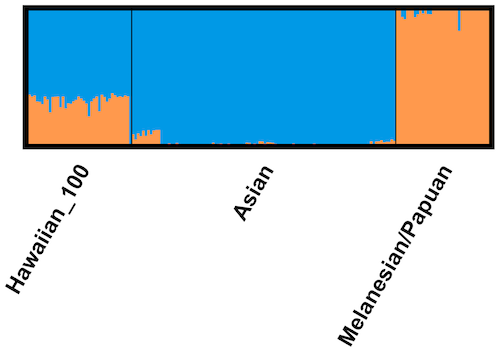 There’s a rather clear cline of declining Melanesian admixture as one moves west across the Indonesian archipelago. Intriguingly the Denisovan admixture seems restricted on the western boundary to Wallacea, though the story is made more complex by the existence of the Philippines. The latter archipelago was connected to Sundaland during the last Ice Age, not Sahul, or isolated such as the isles of Wallacea. 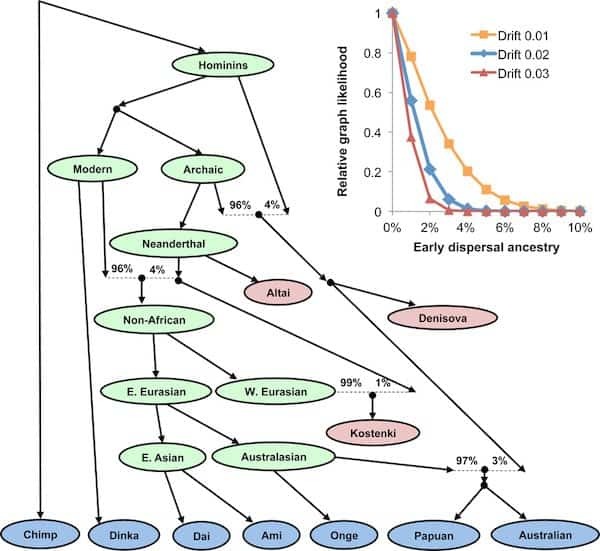 The more complex aspect of the paper is that Denisovan admixture is not just a function of admixture with Near Oceanians. Obviously the proportion for Polynesians is elegantly explained by this model, because there is a well known cline of admixture amongst various Polynesian groups with Melanesian populations. And as I noted earlier there is also a Melanesian cline in Indonesia. But the story is not neat for the Philippines due to geography and other genetic results. A simple model would be that Philippine Negrito admixture with the Denisovans is also a function of admixture with Near Oceanians. An event which we have no record of or reason to suspect, but may have occurred. But they did not find evidence for this. To the left is a figure which shows some of the phylogenetic relationships which they report from their analysis of SNP data. First, you see the admixture of Neandertals with all non-Africans. Second, you see the admixture of Denisovans with the very distant common ancestors of the Philippine Negritos and Near Oceanians. Next, you see an admixture of what I term “Western Negritos” (Andaman Islanders + Malaysian Negritos) with the ancestral Near Oceanian population, but not with the Philippine Negritos. Then you see admixture of an East Asian element, probably Austronesian, with various Negrito groups. The distinction between Philippine and Malaysian Negritos from each other is not that surprising if you look at PanAsian Consortium SNP data. It is a nice result though that the Andaman Islanders seem to be related to the Malaysian Negritos. The geography of the Ice Age implies the origin of this group on western mainland Southeast Asia, in close proximity to the domains of the Negritos of southern Thailand and peninsular Malaysia. The main technical issue which is straightforward when comparing the previous paper to this one is that here they sequenced a whole genome of an Australian Aboriginal man who lived 100 years ago. So while the previous paper was working with tens of thousands of markers, this paper could play with millions of SNPs (though do recall that the previous paper had a much wider set of populations covered, which isn’t trivial). The top line finding seems to be that Europeans and East Asians are closer to each other than either is to the Australian Aboriginal. I’ve seen this result before. But, a major issue which is resolved here with their methods is that Aboriginals are closer to East Asians than they are to Europeans! This is the major problem I’ve always had with the idea that there were “two waves” of migration Out of Africa. If this was so, why isn’t it that Australian Aboriginals exhibit equal distance from East Asians and Europeans? The answer here is simple: admixture between the two waves, but only amongst those going east. In other words I was confused by excessive “tree” thinking, and neglected the possibility of admixture. The first paper also hints as a possible candidate source for the admixture event: the same source population of the Western Negritos! From what I can gather this population falls into the “eastern” branch Eurasian humanity. Not quite close to East Asians, but definitely closer to them than West Eurasians. Therefore the affinity of East Asians to Aborigines may be due to this broader global “East Eurasian” heritage, which was injected into the Aboriginal man’s genome at some point in the past. Interestingly the authors found no difference in admixture from Neandertals between the populations, in line with earlier results. This implies to me, though does not prove, that the Aboriginals are a basal outgroup to other non-Africans, who all underwent the same rough admixture dynamic with Neandertals as they pushed out of Africa. Instead of two waves Out of Africa, perhaps two pulses just outside of Africa? Finally, the fact that the gene flow seems to pre-date the separation of Native Americans from East Eurasians serves as a “peg” on the populating of Australia. The authors conclude that at a minimum we’re talking 15-30,000 years before the present. The distinctiveness of Australian Aboriginal mtDNAs, as well the localization of Denisovan admixture amongst Near Oceanians, in addition to the archaeology, makes me credit this early founding event. The populations of Sahul may have avoided being swamped out by newcomers by and large since their arrival ~50,000 years ago. I will speculate that this may explain their relatively high quantum of “archaic” ancestry. It may be that in pre-agricultural Eurasia there were many groups with higher fractions of Neandertal ancestry on the margins of the wave of anatomically modern human advance, which were only later assimilated by the demographic swell of the farmers. There’s a lot more one could say, but I’ll leave it to readers…. For most of my life I have had an implicit directional view of Holocene human culture. 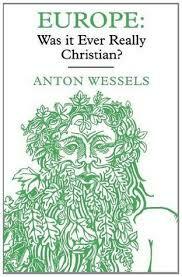 And that direction was toward more social complexity and cultural proteanism. Ancient Egypt traversed ~2,000 years between the Old Kingdom and the fall of the New Kingdom. But it s rather clear that the cultural distance which separated the Egypt of Ramesses and that of Khufu was smaller than the cultural distance which separates that of the Italy of Berlusconi and the Italy of Augustus. Not only is the pace of change more rapid, but the change seems to tend toward complexity and scale. For most of history most humans were primary producers (or consumers as hunter-gatherers). Today primary producers are only a proportion of the labor force (less than 2% in the USA), and there are whole specialized sectors of secondary producers, service workers, as well as professionals whose duty is to “intermediate” between other sectors and smooth the functioning of society. The machine is more complex than it was, and it has gotten more complex faster and faster. - Most European males ‘descended from farmers’. For whatever reason archaeologists themselves haven’t been able to resolve these issues. To me it seems that ultimately even if genetics is not determinate or even fundamentally specially insightful, it will at least sharpen the discussions, and move scholars away from arguments of rhetorical excess. 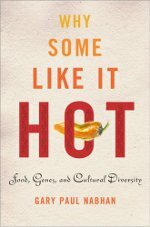 The pith: there are differences between populations on genes which result in “novelty seeking.” These differences can be traced to migration out of Africa, and can’t be explained as an artifact of random genetic drift. 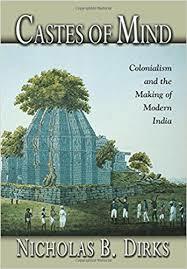 One of the things that happens if you read ethnographically thick books like Nicholas Dirks’ Castes of Mind: Colonialism and the Making of Modern India is that you start to wonder if most castes were simply created by the British and for the British. Granted, even Dirks would not deny the existence of Brahmins prior to the British period, but those who work within his general paradigm might argue that a group like Kayasthas were the product of very recent developments (e.g., the uplift of a non-Brahmin literate group willing to serve Muslim and British rulers). The emergence of genomics complicates this sort narrative, because you can examine relationships and see how plausible they would be given a particular social model. 1) I aligned the ethnic identification information with the K = 12 results. Foragers to farmers: a tale of collective action? Comments Off on Foragers to farmers: a tale of collective action?